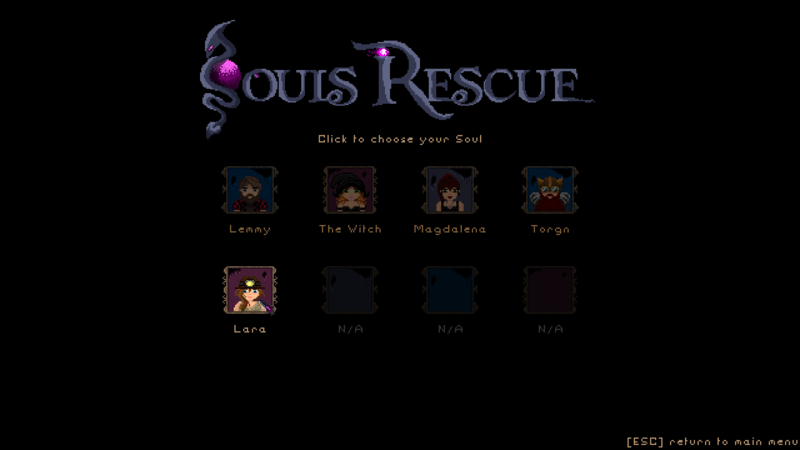 Souls Rescue tries to be a roguelike. You and seven members of you family are dead. Release your souls from the Dark Master! recall, come back to the teleporter created with "mark"
deadly hole of lava or acid. Walk on lava or acid, you directly die! Tell us if it’s a good idea. This page was last modified on 5 April 2017, at 21:13.